If ours is the Information Age, it is not the first. A “quantifying spirit” swept the educated classes of 18th century Europe, too, as they confronted the hyperabundance of data in an increasingly globalized world. 1 Explorers were returning from distant lands with new bytes of information — logs, maps, specimens — while, back home, Europeans turned natural history into a leisure pursuit. 2 Hobbyists combed the fields for flowers to press and butterflies to pin. Scientists and philosophers sought rational modes of description, classification, and analysis — in other words, systematicity. That age belonged to Carl Linnaeus, whose methods we still use to name new species. (Swedish botanist, zoologist, physician: what box should we put him in?) Linnaean classification proved a “godsend to naturalists at sea in the quantity of their own discoveries,” 3 but that was just the start; its “rationality and practicality gave it entrée everywhere.” 4 Researchers applied its systematic logic to the study of everything from chemicals and diseases to machines and algebraic forms. The craze reached its height, as ours does, with a most protean subject: clouds. As the Romantic era dawned, French naturalist Jean Baptiste Lamarck and English chemist Luke Howard set out, independently, to classify clouds. 5 The endeavor drew praise from no less an authority than Johann Wolfgang von Goethe, who said that Howard was “the first to hold fast conceptually the airy and always changing form of clouds, to limit and fasten down the indefinite, the intangible and unattainable and give them appropriate names.” 6 Goethe’s enthusiasm was so great that he tried to commission a cloud atlas from Caspar David Friedrich, the German Romantic painter. Friedrich refused, on the grounds “that ‘to force the free and airy clouds into a rigid order and classification’ would damage their expressive potential and even ‘undermine the whole foundation of landscape painting.’” 7 Still, he must have understood the appeal. Artists had studied the skies for millennia, 8 but Friedrich and his English contemporaries, J.M.W. Turner and John Constable, were among the first painters whose meteorological vision could be trained by Howard’s vocabulary. Cloud studies by Thomas Forster, from Researches about Atmospheric Phenomena (1823), elaborating on the work of Luke Howard. Today we are engaged in a similar cloud-rendering enterprise, although we look not to the skies but to the fog of data, the algorithmic atmosphere, the hazy geography of digital intelligence. This is our Cloud. 9 The National Institute of Standards and Technology defines cloud computing as “ubiquitous … on-demand network access to a shared pool of configurable computing resources (e.g., networks, servers, storage applications and services).” 10 But the naming conventions of our age are a fair bit looser than Linnaeus would have it. Google, ever commodious in its purview, has gathered atop its Cloud Platform a wide array of technologies and services, from big data warehousing to machine learning. Oracle’s Cloud can shape-shift to envelop matters from global logistics to human resources to national defense. The Cloud theorized by Benjamin Bratton is similarly capacious; it absorbs weird “geopolitical designs” and forms of sovereignty and governance; energy flows and rare earth minerals; cables, data centers, and supply chains; and operational tracking through gross profusions of data. 11 Whether we understand these technologies is almost beside the point. This is a Cloud — a nebulous conflation of information, capital, and geography — that enshrouds all. Today we look not to the skies but to the fog of data, the algorithmic atmosphere, the hazy geography of digital intelligence. This is our Cloud. Yet because of its relatively low altitude and mundane utility, many who live under its shadow have managed to catch a glimpse of its internal churnings. Insights that once seemed liked epiphanies are now widely shared: that the Internet is a place made of material things; that our Amazonian appetite for consumption depends on heavy logistical systems and exploitative labor practices; that secret algorithms shape our search results and social feeds; and that we leave digital exhausts in our wake. Like Goethe, we want to trace our Cloud, map it, classify it, tour it, understand its materialities, geographies, and logics. We want to probe it to see if we can find any humanity — in the form of labor, affect, or ethics — hidden within the mist. A new wave of Cloud explorers is pushing the limits of the field and the work they do in it — from drone spotting to algorithm forensics. As Cloud infrastructures have inspired new metaphors to talk about them, they’ve also inspired new forms of exploration. Rather than trees or nets, many researchers today are thinking in terms of fields. Suzanne Ewing, who convened a gathering on the role of fieldwork in architecture, contrasts the site (“physically delimited, culturally- and historically-situated”) with the field (a “cloud-like set of social, cultural, economic, and nonhierarchically networked conditions of reality”). 16 Landscape architect James Corner, of Field Operations, defines the field as an open system of relationships, conditions, and possibilities that the designer delimits, and into which he then makes interventions. 17 For their part, scientists have long upheld (and debated) a distinction between the lab and the field, between a “controlled” environment and a more “naturalistic” one. Of course scholars have conducted site-based, ethnographic research on the Cloud’s physical and digital terrains for decades; consider, for instance, the work of Deborah Cowen, Paul Edwards, Brian Larkin, Lisa Parks, Susan Leigh Star, Nicole Starosielski, and Helga Tawil-Souri. 18 There are precedents, too, for “fieldwork” as a genre of design research and artistic performance. 19 But now a new wave of Cloud explorers is pushing the limits of the field and the work they do in it — from drone spotting to algorithm forensics to global infrastructure expeditions. John Constable, Seascape Study with Rain Cloud (c. 1824). These methods bind today’s Cloud chasers to traditions of colonialism, and to its particular modes of looking, collecting, and record-keeping. Yet not all of our contemporary Cloud explorers pay much attention to the “ethno,” the people, of the Cloud. Or, if they do, they regard people at an aggregate level — as crowds or corporations. These explorers draw on field-based practices in geology, archaeology, geography, botany, ornithology, and even 18th century naturalism. They travel to distant and exotic regions of global networks. They publish field guides, some complete with Linnaean classification. Their methods promise to bring the Cloud into focus by training us how to see it and situate ourselves within it, or in relation to it. Yet these methods also bind today’s Cloud chasers to traditions of colonialism, and to its particular modes of looking, collecting, and record-keeping. Many practitioners have an ironic stance toward those traditions, but can they so easily escape or subvert such persistent ideologies? Screenshots from a video promoting the Unknown Fields expedition Lithium Dreams (2015). The overall impression is of a dark, unknowable field that resists de-clouding but is ultimately aestheticized, ‘fastened down,’ made knowable through technical mastery. Ethnographers are ideally self-reflexive about their roles as researchers, their potential impact on the field, and their obligations to research sites and subjects. Many of today’s Cloud explorers identify as fieldworkers and think critically about their methods and modes of documentation. Young and Davies, the Unknown Fields leaders, regard themselves as “visionaries and reporters, part documentarians and science fiction soothsayers,” and they enlist tour participants in the creation of publications, films, and other art and technical projects that respond to experiences in the field. Their productions are hyper-stylized, simultaneously documenting and “branding” the project, whereas Dark Ecology’s outputs are more strictly documentary. Still, the two collectives share an aesthetic: old-school-nature-film meets apocalyptic-sci-fi meets Go-Pro-adventure-video. Both groups cultivate an epic, enigmatic aura around their work through the use of atmospheric post-rock or noise soundtracks, close-ups of heavy machinery and scarred landscapes, and low-angle shots that aggrandize the bravery and skill of valiant fieldworkers, their faces weathered through prolonged exposure to the elements. Unknown Fields mixes in blurs and glitches and strategically washed-out or grayscaled imagery, suggesting the precarity and ruggedness of these terrains (and the lengths to which the team had to go to document them). And both groups juxtapose gothic or sublime landscapes with shots of technical instruments and interfaces, or they animate and annotate the landscape with data visualizations. The overall impression is of a dark, unknowable field that resists de-clouding but is ultimately aestheticized, “fastened down,” made knowable through technical mastery. Promotional videos for Unknown Fields Division and Dark Ecology. They recreate the fieldworker as hero, the one who deciphers and intellectualizes defiant landscapes with the aid of technical instruments and First World science. None of this is news to scientists in those disciplines, who have grappled with these issues for decades (while recognizing that their work will always be political). Yet the contemporary Cloud chasers, while conscientiously self-reflexive about their identities as artist-researchers, sometimes fail to publicly address the broader politics of their performance. Surely they recognize how this talk of bravely trekking to the “ends of the earth,” of weathering precarity and irradiation, echoes colonialist narratives. And how their self-presentation recreates the fieldworker as hero, the one who deciphers and intellectualizes defiant landscapes with the aid of technical instruments and First World science. 37 Young acknowledges that he and his collaborators are “in a privileged enough position” and insists that their role is to “bring back stories” for those who can’t make the journey. 38 Yet that privilege is woven into the infrastructural systems that make private education and global tourism possible. 39 A three-week “witness” tour collapses disparate temporal phenomena — the tedium of travel on the high seas, the slow violence of environmental devastation, the epochal evolution of rare earth minerals and fossil fuels, the quickness of market transactions and lightning speed of data flows — and distills them into a three-minute video. 40 What are the politics of this experiential and epistemological acceleration? Sarah Kanouse, A Post-Naturalist Field Kit for Saint-Henri (2010). Some explorers have pursued a more locally-responsive approach by designing field kits that script research activities like observation and sample collection. I’ve written previously about the Los Angeles Urban Rangers and their Interstate Road Trip Specialist Field Kit. 41 Artist Sarah Kanouse created a Post-Naturalist Field Kit for exploring the social ecologies of urban landscapes. Her kit includes traditional instruments, like tweezers and specimen jars, alongside DIY air-quality monitors and lead contamination tests. Each kit is localized with a field map, a brochure that surveys local history and politics, and activity cards that prompt users to consider relationships among social, economic, and ecological issues. 42 The “nature” represented here is not a pristine reserve set apart from culture, but rather a field embedded within it. 43 What tools might a Cloud explorer add to this kit? Cell antenna trackers and WiFi sniffers; maps of local ports, data centers, and fiber-optic trunk lines? The Cloud is composed of multiple levels of code, and no one person can see, let alone interpret, the full stack. Field guides aim to help us find our way through it. Kate Ascher’s The Works: Anatomy of a City (2005), adopts a similar organizational strategy, but a very different aesthetic. She presents illustrated infographics at various scales — close-up sections of fire hydrants and fiber-optic cables, interior perspectives of wired homes and subway cars, aerial views of rail yards and steam pipe networks — alongside short narratives and informational sidebar texts. The illustrations enable Ascher to represent systemic functions and internal mechanisms that are difficult to photograph, but their “non-indexical” nature also suggests that this is a guide to an idealized city, a fictional place where “the works” always work as they’re supposed to. Kate Ascher, “How Tunnels Are Built,” from The Works: Anatomy of a City (2005). Ian Nairn, “Outrage,” Architectural Review (1955). Brian Hayes, “Communications,” from Infrastructure: A Field Guide to the Industrial Landscape (2005). Ed Sobey’s A Field Guide to Roadside Technology (2006) classifies objects by “habitat”: building roofs, airports, utility towers, and so forth. It echoes Ian Nairn’s critical studies of British roadside architecture — “Outrage” and “Counter-Attack Against Subtopia” — which were published as special issues of Architectural Review in the 1950s. 46 The rise of cultural geography and semiotics in the late 20th century spurred more guides promoting landscape “literacy,” including Kevin Lynch’s The Image of the City (1960), George Nelson’s How to See: A Guide to Reading Our Man-Made Environment (1977), Grady Clay’s Close-Up: How to Read the American City (1980), and even David Macaulay’s popular illustrated books. 47 Throughout these decades, new transportation, communication, and economic infrastructures coalesced to generate a new topology: sprawl, which seemed to necessitate its own guide. Dolores Hayden’s A Field Guide to Sprawl (2004) uses aerial photography to illustrate suburban land-use patterns, from “big box” stores and “strips” to “alligators” and “starter castles,” a vocabulary that mixes quotidian terms with absurd real-estate jargon. Let’s consider why the neat-and-tidy field guide format, with its regimented classification codes and identification markers, might appeal to explorers of a nebulous terrain. Most of these titles preceded the days when “the Cloud” was a household term, but as the fogs rolled in, so did a front of new guides — particularly in the past four years. Before we get to new works, though, let’s step back to consider why the neat-and-tidy field guide format, with its regimented classification codes and identification markers, might appeal to explorers of a nebulous terrain. If we look to the history of the field guide, not just as a book genre but as an epistemology, we can better understand its contemporary resonance and consider its future possibilities. As early as the 18th century, French botanists were using illustrated books to identify flora in the field. Sara Scharf traces the evolution of these guides by looking at the intersection of advances in science and in book publishing. 48 Throughout this period, scientists in many fields were developing standardized technical vocabularies and techniques for observing specimens. Just as important, they adopted publishing conventions: regularized layouts, point-form text (rather than expository sentences), and consistent forms of captioning and describing images. Botanists like Lamarck (the early cloud explorer) pioneered identification keys, which allowed for the examination of specimens through a sequenced order of variables: the color of flowers, the shape and size of leaves and their arrangement around the stem, etc. 49 In turn, these proto-flowcharts required typographic engineering. Publishers also invented bibliographic navigational cues, like indices and cross-references, as well as more reliable, less expensive techniques of printing illustrations. Those features were critical for the efficient use of reference books like field guides. Ornithologists had a trick for turning birds into docile subjects for observation: they shot them dead. Florence Merriam Bailey disagreed: “The fact of the matter is, you can identify perhaps ninety percent of the birds you see, with an opera-glass and patience.” (She did allow that for “small vireos and flycatchers,” you’d be better off with a gun.) 53 Her slim, 7.5″ x 4″ Birds through an Opera Glass (1899) — with its conversational prose, second-person narration, anthropomorphized avian characters, full-body wood engravings, and phonetic spellings and musical notation that evoked birdsong — was among the first widely popular field guides. Birds of Village and Field: A Bird Book for Beginners (1898) added a helpful Field Color Key, which adopted a more telegraphic style, with bulleted text identifying the key features of each species, alongside engravings that showed head plumage. Florence A. Merriam, Birds through an Opera Glass (1899). While some of her guides became less personal and more clinical over the years, Merriam was one of several female birders and field-guide authors who aligned their commitment to conservation with their commitment to women’s reform. 54 Neltje Blanchan’s Bird Neighbors (1897) and Birds Every Child Should Know (1917) and Mabel Osgood Wright’s Birdcraft (1895) and Citizen Bird (1897) are examples of this movement. Their accessible guides made no pretense of exhaustiveness — focusing on species one might find in the backyard or park — and paid little attention to taxonomy. Through their colorful portrayal of birds as spirited, even moral, characters, these authors recast birds as valuable “citizens” and “neighbors” in a social ecology that exceeded the human, and they drew more people to amateur birding and environmental causes. Without ignoring the problems of colonialism and anthropomorphism, we can acknowledge that these women sought to make “the field” — a terrain often rendered exclusive and hostile by professional fieldworkers — more widely accessible. Chapman’s seemingly unbiased approach separated birds from the cultural, legal, and environmental issues affecting them. Because illustration was difficult and expensive, authors often relied on verbal description, or what the Greeks called ekphrasis. Still, many books incorporated wood engravings or color photoreproductions of fine-art paintings like Audubon’s (which had to be printed separately and inserted by hand). Color printing was an imperfect process, and authors complained about the poor quality of the halftones. Rather than attempting to photograph live birds in the field, Blanchan, in Bird Neighbors, and James B. Grant, in Our Common Birds and How to Know Them (1891), included photos of stuffed and mounted specimens. Chester Reed’s inexpensive, pocket-sized guides took advantage of new four-color process printing to reproduce his oil paintings, and the books sold remarkably well in the first three decades of the 20th century. Frank Chapman, Color Key to North American Birds (1903). F. Schuyler Mathews, Field Book of Wild Birds and Their Music (1904). Isolating the birdsong ‘signal’ from ecological background ‘noise’ led to a sterilization of field sound. The Peterson Identification System, from Roger Peterson, A Field Guide to the Birds (1934). Field guides atomize a specimen into recognizable parts, turn the identification into a checkmark, and bracket out the larger ecology within which the encounter takes place. To cultivate that literacy, field guides since Peterson have promoted “prescribed modes of looking” that atomize a specimen into recognizable parts, turn the identification into a checkmark on a list, and bracket out the larger ecology within which the encounter has taken place. 65 Schaffner criticizes the “binocular vision” of most field guides: their tendency to “sanitize the representations of birds,” to focus on the individual specimen, rather than its relationship to other creatures or to us. They do little to help readers understand how the bird and its ecosystem are influenced by our very interest and presence. 66 Yet Dunlap argues that more recent titles, inspired largely by the environmental movement born in the 1960s, have done a better job of connecting birds to their ecologies. Cornell Lab of Ornithology, Merlin Bird ID app (2014). But not everyone is attuned to that world outside the frame. Birding’s long entanglement with colonialist attitudes manifests today in the form of competitive, acquisitive looking. 68 One particular species of birder, the twitcher, is defined by an “extreme” approach to fieldwork. The twitcher seeks to accumulate the longest list, aggressively chasing the most elusive species to remote locations around the world. It’s “a spontaneous form of commodified leisure” that helps to sustain international ecotourism. Although twitchers might identify with concerns for habitat and species preservation, they end up profligately devouring “products and natural resources to consume (through identification) ‘new’ species of birds.” 69 The Life List itself is reified in competitive events like the World Series of Birding. Viewed in a certain light, such events are not far removed from historical enterprises that extracted life forms and natural resources from local ecosystems and resituated them within European taxonomies, making them vulnerable to exploitation. Much like that toucan who lost its beak for the sake of Aldrovandi’s watercolor, or the rare earth minerals transported from Mongolian mines to your nearest Apple Store. So let us turn, finally, from the field to the Cloud. How do our attempts to map and classify its nodes and networks fit into these ecological, intellectual, and political legacies? How does the field guide as a genre — and as a pedagogical and epistemological form — “fasten down” this shape-shifting global phenomenon? How does the guide situate its readers within the mist and define their relationship to it? The Cloud is habitat for new animate forms — including the drones that buzz above our heads. “Our ancestors could spot natural predators from [afar] by their silhouettes,” Ruben Pater notes. Shouldn’t we be equally aware of the present-day predators of the Dark Cloud? His poster Drone Survival Guide: Twenty-First-Century Birdwatching (2013) displays the silhouettes of 27 drones used for surveillance and attack (although he acknowledges that drones can also be deployed for rescue operations and scientific research). The reverse side — offered in various multilingual editions, including English/Pashto — provides an introductory text and tips for evading and hacking drones. 70 Even the poster itself is an instrument of camouflage; it is printed on Chromolux ALU-E mirrored paper, so that when spread open it becomes a defensive shield to reflect sunlight into any camera-equipped aircraft that might be flying overhead. Ruben Pater, The Drone Survival Guide (2013). The Drone Survival Guide, reverse side. 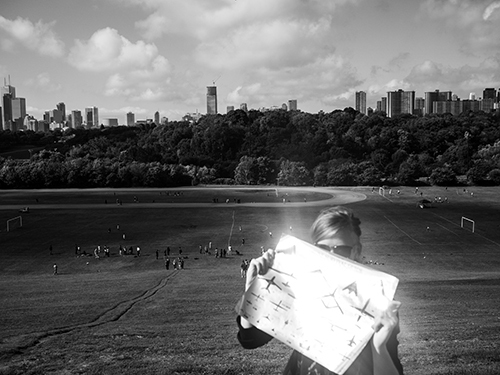 Superflux Lab’s Drone Aviary published a “magazine” in the form of a lithographic poster (2015) that features, on one side, an illustration of speculative aerial cartographies: “the vertical geographies and digital infrastructures” (like “geofences” and charging stations) “that cities will need in order to accommodate civilian drones.” On the reverse is a visual catalog of civilian drones with an editorial and short fictions: a guide to the avifauna of a still-cloudy future. 71 The format only hints at future possibilities for the magazine, which principals Jon Ardern and Anab Jain envision as a means to experiment with “media artifacts which cohabit our physical spaces.” Both their poster and Pater’s are foldable for use “in the field,” but can also be purchased un-creased, suitable for framing. They are not simply guides to collectible species, but collectible items themselves. “Cartographies of the Sky,” SUPERFLUX Magazine Issue 1 (2015). Other field guides presume that we have a clear line of sight to the Cloud’s markings. Tim Hwang’s and Craig Cannon’s The Container Guide (2015) offers entry into the global flows of container shipping by helping readers decipher markings on its floating fleet. The guide is organized by geographic region, then alphabetically by corporation. Users first have to locate themselves within the field, at a container port or another site along a shipping route. They then match what they see at dock to what they see in the guide. Each entry includes a color image of the company logo, followed by a brief corporate history, details about the fleet’s capacity, and information about its place within the global shipping network. The book also includes three short essays — on the cultural politics of containerization, the history of refrigerated shipping, and domestic spin-offs such as the tiny house movement — and a glossary of industry terms. Tim Hwang and Craig Cannon, The Container Guide (2015). Ingrid Burrington, Networks of New York (2014-15). The presumption that infrastructures are ‘hidden’ or ‘magic,’ and thus require demystification through a field trip or field guide, signals great privilege. As political geographer Louise Amoore notes, such attempts to “wrest the Cloud … into intelligible form” commonly involve discerning where the data live and where the Cloud materializes, in data centers, server farms, fiber-optic cables, and even local tax structures and environmental resources. 75 Identifying these material architectures has concrete implications for security, intelligence, political sovereignty, energy use, and public access to resources. 76 Yet Amoore raises an important concern, that “this desire to open the black box of infrastructure, to expand the visual vocabulary” plays into the Dark Cloud’s own paradigms of surveillance. What do we achieve by watching the watchers? When I shared my research on Cloud guides with several groups in Europe this past spring, some were curious about what they regarded as a specifically “Anglo” romanticization of cables and tubes. They argued that, in some nations, infrastructure is regularly part of public referenda, so there’s no need to “de-mystify” it. Similarly, in the developing world, where infrastructure is often buggy and people are not just its beneficiaries, but also its maintainers and last-mile service providers, these systems are part of everyday life. All over the world, there are cable-layers and data-center operators, cell-phone salesmen and e-waste handlers who have long possessed trade-specific knowledge about the Cloud’s presence and operations — knowledge that we’ve only recently come to valorize. 77 The presumption that infrastructures are “hidden” or “magic,” and thus require demystification through a field trip or field guide, signals great privilege. John Constable, Cloud Study (1821). We seem to want to know the Cloud both as meteorologists and as mystics. Today, driven by a deep-seated quest for encyclopedic knowledge, we seek once again to “make visible the invisible,” to open the “black box,” while also, paradoxically, aestheticizing the wires and algorithms themselves. We have accelerated the cycles of making-visible and making-invisible that are so entangled with Western urban planning and its ideologies. How do we reconcile our competing aspirations for ordered knowledge about how the world works with our desire to believe in its magic? We seem to want to know the Cloud both as meteorologists and as mystics. Richard Vijgen, Architecture of Radio app (2015). Another species of guide focuses less on the Cloud’s precise geographies and architectures, and more on its hazy atmospheres, its computational “guts” and machine logics. Such guides tend to embrace the partiality and indeterminacy of what they can reveal. Architecture of Radio (2015) is an iPad app that uses the tablet’s GPS coordinates to map the location of proximate cell towers, WiFi routers, and satellites, drawn from open data sets. Billed as a “field guide to the hidden world of digital networks,” it can frustrate users who expect real-time, hyperlocal realism, when in fact the app is more accurately seen as a guide to the partiality of its, and our, understanding of the electromagnetic spectrum. It gives users the impression of floating within a field of waves and cells, which are sonified as pulses and crackles and swells of static, suggesting that the Cloud has a sonic signature much less knowable than its avian inhabitants. Amy Balkin’s The Atmosphere: A Guide (2013) aims to chart “how science, social attitudes, economics, and politics intersect in the atmosphere” at various elevations: in the exosphere, thermosphere, mesosphere, stratosphere, troposphere, and at sea level. 80 We can find various instantiations of the Cloud here: “ship tracks,” or the cloudy trains of ships circumnavigating the earth, at sea level; microwave communication systems in the troposphere; satellites in the outer layers. Balkin reminds us that there are multiple Clouds, both capital-C and lowercase, inhabited by divergent interest groups. Humans are written into this guide through their attempts to develop means of commanding or comprehending these aerial fields. Balkin presents atmospheres as biochemical and geopolitical, as fields of obfuscation and communication, as global commons and militarized space. As conceived by many recent theorists, the Cloud straddles all of these fields and materialities and ideologies, and the large, poster-sized scale and ontological complexity of Balkin’s guide again remind us of the thresholds of our own ability to perceive and understand that expansive space. Amy Balkin, The Atmosphere: A Guide (2013). Others guides have taken up Amoore’s suggestion to focus on the calculative Cloud, not as a place but as an analytic. Anne Helmond, along with colleagues in the Digital Methods Initiative at the University of Amsterdam, created The Tracker Guide to the Cloud (2012), which identifies “traces and fingerprints” of online trackers: species like cookies, bugs, widgets, and analytic services that allow for the (usually surreptitious) collection of user data. 81 The booklet, whose microbiological aesthetic portrays tracker identification as a forensic operation, is intended to help readers better understand “what content is being ‘pulled in’ from the cloud, and which user data is being collected” when we enter the field — that is, when we open a website. By “animating” algorithms as biological microorganisms, in much the same way that early bird-guide authors anthropomorphized their avian “neighbors,” the authors highlight their specimens’ protean, parasitic quality and suggest that we need special optical tools and techniques to study them. One of the guide’s techniques is a variation on Peterson’s field mark system, used here to indicate where we might look on a website to find traces of trackers. Trackers found on the Huffington Post website, rendered as a cellular organism, from The Tracker Guide to the Cloud (2012). Other researchers seek to intervene in the conventions of natural history itself. “If the Anthropocene defines a new ‘geological’ age,” Orit Halpern proclaims, “then we need a new ‘natural’ history! A new taxonomy for life, techne, and earth!” 83 In a June 2016 workshop on “Reading Algorithms,” participants experimented with systems and schema “to identify, classify, and intervene in (perhaps even re-imagine) that most distinct phylum of agents.” Workshop groups chose particular algorithms — those used in Target’s marketing analytics, Google’s page-rank, the Black-Sholes financial option model, and various sorting or machine-learning operations— and described them according to field-guide conventions. They were asked to use a descriptive matrix which included variables such as physiology, habitat, eating habits, excretion habits, vocalization, and reproductive behavior — pushing Merriam’s anthropomorphism to the extreme. 84 The exercise elicited some resistance, as participants balked at the “extreme” speculation required to imagine page-rank poop. Yet that absurdity was sort of the point. The disconnect between organisms-in-the-world and the schema we devise to capture their “character” or “essence” reveals the plain truth that all taxonomies leak. Caspar David Friedrich, The Monk by the Sea (1808-10). Clouds and birds and algorithms: all of them “airy and always changing” and hard to “fasten down,” as Goethe put it. And none strangers to the sublime: seemingly immeasurable in number and variety; simultaneously noble, splendid, and terrifying. The Romantics painted the cirrus and cumulus, the hawk and bird of paradise, hovering above sublime landscapes. Now we behold a Cloud that encompasses new terrifyingly majestic terrains: salt flats, open seas, glaciers, pit mines, microscopic architectures that permit countless calculations at imperceptible speeds, troves of magic machines. We don’t quite know where, or how, to look at it all (or listen to it, or inhabit it, or move around in it). So we’ve commissioned guides to train our perception. Yet what those guides — in printed, programmed, and peopled form — ultimately demonstrate is their own necessary partiality. In their quest for clarity, for systematicity, they point us to the very things that fall through the cracks or fail to conform. Our Cloud chasers might consider whether its last wildernesses would be better off unsurveyed and unclassified. Perhaps we should celebrate those aberrations, for they reveal the potential wisdom of cloudy vision. Particularly when we wish to observe the Cloud, which itself dreams of a terrifyingly surveillant omniscience, we should appreciate the prudence and power of fog and obfuscation — of seeing obliquely, sensing beyond the limits of sight, even remaining unseen. Just as archivists now recognize the rights of indigenous and vulnerable peoples to determine their own self-representation and documentation, our Cloud chasers might consider whether its “last wildernesses,” its alien landscapes and life forms, its fragile populations, would be better off unsurveyed and unclassified. Is it right to comprehend the larger, cloudy systems that subsume those “minor” organisms by scouting and sorting them, collecting them as experiences and specimens, using the tools of our colonialist predecessors or contemporary data brokers? We have to reflect on the ideologies behind our methods. After all, our expeditions, maps, and databases are part of the Cloud’s logic; must they also reflect its prevailing politics? As conscientious ethnographers, we need to recognize the shadows cast by our presence as explorers in the field. Thank you to Jamie Allen and the Medialogue research group in Basel; Jussi Parikka and his colleagues and students at the Winchester School of Art; and Carolyn Birdsall and Christoph Lindner and their colleagues and students at the University of Amsterdam for allowing me to workshop the ideas presented in this essay. 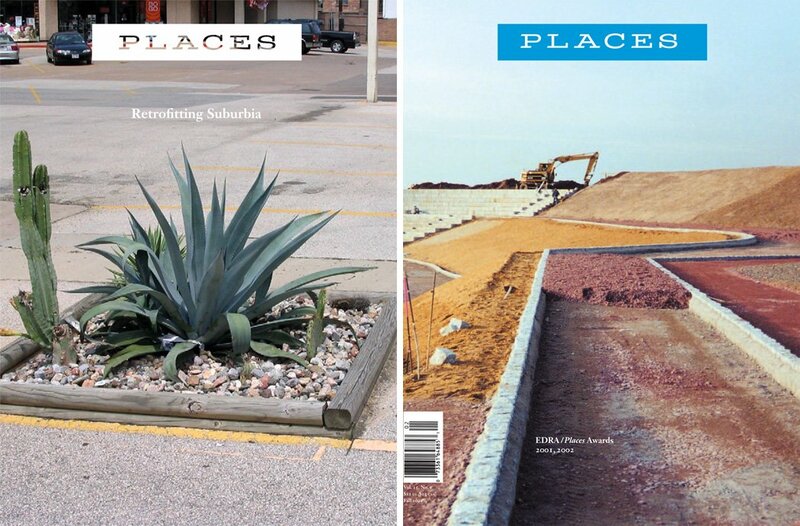 Thanks, as always, to Nancy and Josh at Places Journal. Tore Frängsmyr, J.L. Heilbron, and Robin E. Rider, Eds., The Quantifying Spirit of the Eighteenth Century (Berkeley: University of California Press, 1990). Lesch, “Systematics and the Geometrical Spirit,” in Frängsmyr, Heilbron, and Rider, op. cit., 74. Brian Ogilvie distinguishes between natural philosophers of the Middle Ages, who were concerned with “the nature or essence” of natural things, and 17th-century naturalists (natural historians), who were “increasingly concerned with classification.” Ogilvie writes, “natural philosophy discouraged studying the particular, which was no part of philosophy, and urged instead the ascent to universals.” See Ogilvie, The Science of Describing: Natural History in Renaissance Europe (Chicago: University of Chicago Press, 2006), 7, 99. Likewise, Philippe Huneman argues that, through the 1800s, natural philosophy focused on the “quest for laws” and universals, while natural history emphasized description. See Huneman, “The Hermeneutic Turn in Philosophy of Nature in the Nineteenth Century,” in Alison Stone, Ed., The Edinburgh Critical History of Nineteenth-Century Philosophy (Edinburgh: Edinburgh University Press, 2011), 70. Heilbron, “Introductory Essay,” in Frängsmyr, Heilbron, and Rider, op. cit., 21. Gunnar Broberg, “The Broken Circle,” in Frängsmyr, Heilbron, and Rider, op. cit., 47. See Robert Hamblyn, The Invention of Clouds: How an Amateur Meteorologist Forged the Language of the Skies (New York: Picador, 2001). Much earlier, in the 1660s, English natural philosopher Robert Hooke also proposed his own typology of clouds. “For the faces of the Sky they are soe many that many of them want proper names, & therefore it will be convenient to agree upon some Determinate ones by which the most usuall May be in brief exprest”: cleer blew, checkerd blew, hazy, thick, overcast, hairy, waterd, wavd, cloud, lowring. See Felicity Henderson, “A Mackerel Sky,” Robert Hooke’s London, July 30, 2014. Quoted in Stanley David Gedzelman, “Cloud Classification Before Luke Howard,” Bulletin of the American Meteorological Society 70:4 (April 1989), 381. Victoria Carroll, “Capturing Clouds in Science and Art,” Science Museum blog, June 4, 2010. Predecessors include the ancient Greek and Roman “sky painters,” and Jan van Eyck, the 15th-century Dutch painter, who made his own meteorological renderings. See Orit Halpern, “Cloudy Architectures,” continent. 4:3 (2015), 34-45. Benjamin Bratton, The Stack: On Software and Sovereignty (Cambridge: MIT Press, 2015). The Cloud, he explains, is “a terraforming project, covering the globe in subterranean wires and switches and overhead satellite arrays, simultaneously centralizing and decentralizing computing and data storage and the social relations that depend on them (and vice versa). Cloud infrastructure’s energy and water appetite demands specific landscape accommodations, including putting data centers in unexpected locations (inside office towers, ice caves, underground bunkers, coal mines, carved-out mountains, dead malls, inhospitable islands, old churches) all in the name of strategies both rational and strange (cheap energy, cheap space, proximity to oceanic passage, lax regulation on data storage, earthquake and flood avoidance, perimeter security, ideal temperature control). Above ground, Cloud infrastructure is serviced by torqued logistics networks of warehouses, roads, factories, containers, ports of call, airports, and package routing hubs that together allow it to route physical objects in the way it routes data packets. In doing so, the layer absorbs metadata about each thing and each relation of exchange, all translated by algorithmic militations of cognition, data semantics, manufacture, demand, and response optimization as it links these across continents, compressing and expanding economic rhythms and cycles” (115-16). See also Tung-Hui Hu, A Prehistory of the Cloud (Cambridge: MIT Press, 2015). Celia Lury, Luciana Parisi, and Tiziana Terranova, “Introduction: Becoming Topological of Culture,” Theory, Culture & Society 29:4/5 (2012), 3-35; Shannon Mattern, “Gaps in the Map: Why We’re Mapping Everything, and Why Not Everything Can, or Should, Be Mapped,” Wordsinspace, September 18, 2015. Anna Munster, An Aesthesia of Networks: Conjunctive Experience in Art and Technology (Cambridge: MIT Press, 2013), 1. Munster discusses the particularly potent politics of the network diagram, whose link-and-node “uniformity… makes us think that we perceive networks everywhere. Instead, via techniques such as data mining, networks have been computationally rendered as perceptible. Moreover, the frequent misalignment between ideas about human perception and models of computational learning and pattern recognition… has meant that what is perceptible comes to stand in for what is perceived” (5-6). Shannon Mattern, “Infrastructural Tourism,” Places Journal, July 2013. Suzanne Ewing, “Field/Work,” Arq: Architectural Research Quarterly 15:4 (December 2011), 309. See also Rosalind Krauss, “Sculpture in the Expanded Field” October 8 (Spring 1979), 30-44. James Corner, “The Agency of Mapping: Speculation, Critique and Invention,” in Denis Cosgrove, Ed., Mappings (London: Reaktion, 1999), 213-52. See also Chris Reed and Nina-Marie Lister, “Ecology and Design: Parallel Genealogies,” Places Journal, April 2014. For representative works, see Deborah Cowen, The Deadly Life of Logistics: Mapping Violence in Global Trade (Minneapolis: University of Minnesota Press, 2014); Paul Edwards, The Closed World: Computers and the Politics of Discourse in Cold War America (Cambridge: MIT Press, 1996); Paul Edwards, A Vast Machine: Computer Models, Climate Data, and the Politics of Global Warming (Cambridge: MIT Press, 2010); Brian Larkin, Signal and Noise: Media, Infrastructure, and Urban Culture in Nigeria (Durham: Duke University Press, 2008); Lisa Parks, Cultures in Orbit: Satellites and the Televisual (Durham: Duke University Press, 2005); Susan Leigh Star, “The Ethnography of Infrastructure,” American Behavioral Scientist 43:3 (1999), 377-91; Nicole Starosielski, The Undersea Network (Durham: Duke University Press, 2015); Helga Tawil-Souri, “Digital Occupation: The High-Tech Enclosure of Gaza,” Journal of Palestine Studies 42 (2012), 27-43. For more on the history of fieldwork in art practice, see the work of art historian Emily Eliza Scott. Jane Rendell, “Working (Through) the Field: /,” in Suzanne Ewing, Jérémie Michael McGowan, Chris Speed, and Victoria Clare Bernie, Eds., Architecture and Field/Work (New York: Routledge, 2011). See Cindi Katz, “Playing the Field: Questions of Fieldwork in Geography,” Professional Geographer 46:1 (February 1994), 67-72. Mattern, “Infrastructural Tourism.” See also Sarah Kanouse, “Critical Day Trips: Tourism and Land-Based Practice,” in Emily Eliza Scott and Kirsten Swenson, Eds., Critical Landscapes: Art, Space, Politics (Berkeley: University of California Press, 2015), 43-56, and Sarah Kanouse, “Touring the Archive, Archiving the Tour: Image, Text, and Experience with the Center for Land Use Interpretation,” Art Journal 64:2 (Summer 2005), 78-87. Daphne Dragona, “Counter-Infrastructures: Critical Empowerment and Emancipation in a Networked World,” Media-N: Journal of the New Media Caucus 3 (Fall 2014); Alberto Corsín Jiménez, “The Right to Infrastructure: A Prototype for Open Source Urbanism,” Environment and Planning D: Society and Space 32:2 (April 2014), 342-62; Adam Rothstein, “How to See Infrastructure: A Guide for Seven Billion Primates,” Rhizome, July 2, 2015. Unknown Fields Division’s current research, focusing on the landscapes and geographies of “fast fashion,” began in the garment factories of India and Bangladesh. For the two expeditions discussed here, see Unknown Fields Division, “Lithium Dreams” (2015) and “A World Adrift” (2014). See also Bunnie Huang, The Essential Guide to Electronics in Shenzhen (self-published, 2016). For other representative projects, see Unknown Fields Division, “Strange Times: Far North Alaska 0 – 180 Longitude” (2011), and “The End of the World and Other Bedtime Stories” (in the “last wilderness” of the Arctic Circle, 2009). Tim Maughan, “Tim Maughan Interviews Liam Young,” Sonic Acts Research Series #7. See also the Arctic Circle residency, which brings together artists, architects, scientists, and educators to participate in Arctic expeditions and “incubate” artistic responses to the landscape. Charles Stankievech, The Soniferous Æther of The Land Beyond The Land Beyond; and Reilley Bishop-Stall and Natalie Zayne Bussey, “Into the Aether with Charles Stankievech,” Passenger Art, May 11, 2013. Stankievech’s extreme fieldwork should not be confused with extreme tourism, as he resided in the Arctic for years. He wrote to me after publication to clarify that his work is grounded in a critique of military colonialism. Stephanie Moser, “On Disciplinary Culture: Archaeology as Fieldwork and its Gendered Associations,” Journal of Archaeological Method and Theory 14:3 (September 2007), 243. Michael Shortland, “Darkness Visible: Underground Culture in the Golden Age of Geology,” History of Science 32:1 (February 1994), 42. Nancy Scheper-Hughes, “Introduction: The Problem of Bias in Androcentric and Feminist Anthropology,” Women’s Studies 10:2 (1983), 114. See also Julie Scott Jones, “Origins and Ancestors: A Brief History of Ethnography,” in Julie Scott Jones and Sal Watt, Eds., Ethnography in Social Science Practice (New York: Routledge, 2010): 23. In the early 20th century, too, anthropologists exploited new technologies —specifically, the airplane, the automobile, and portable still and motion-picture cameras — to organize adventure travel and produce media that documented and publicized civilized explorers’ “first contact” with “primitive” cultures. See Joshua A. Bell, Alison K. Brown, and Robert J. Gordon, Eds., Recreating First Contact: Expeditions, Anthropology, and Popular Culture (Washington, DC: Smithsonian Institution Scholarly Press, 2013). Situated Systems was a recent Cloud-tracing fieldwork project that also exploited the latest in technologies, yet aimed for a more modest approach: its four collaborators “explored the industrial and military history of San Francisco, and its role in shaping the region’s contemporary technology industries’ culture and products.” The group drew inspiration from Donna Haraway’s call for “situated knowledges,” which admit their necessary partiality and their embodiment (the fact that they are “views from a body, always a complex, contradictory, structuring, and structured body, versus the view from above”), and that emphasize accountability and recognize their objects of their knowledge as active agents. See Donna Haraway, “Situated Knowledges: The Science Question in Feminism and the Privilege of Partial Perspective,” Feminist Studies 14:3 (Autumn 1988), 575-99. See also Kris Timken, The New Explorers: Making Meaning in the 21st Century American Landscape (Conveyance Press, 2015) and Scott and Swenson, op. cit. Consider the worldliness required to designate certain areas as “unknown” and worthy of revelation, the institutional support required for the journeys’ meticulous planning and execution, and the mobility and financial liquidity of the participants who can afford to dedicate money and time to the nearly-three-week pursuit. Thanks to Jussi Parikka and Ryan Bishop for this insight. See also Rob Nixon, Slow Violence and the Environmentalism of the Poor (Cambridge: Harvard University Press, 2013). Embodying a similar belief that nature and culture exist on a continuum, the U.S. Forest Service’s network of Urban Field Stations serve to “increase our basic understanding of socio-ecological systems while also producing information, tools, and results to improve urban natural resource stewardship, decision-making, and residents’ quality of life.” Thanks to Brian McGrath for this reference. This point has been established through years of debate over “the New Aesthetic,” the “robot-readable world,” the “sensor vernacular” (and other variations on the theme). Given that critics have challenged the “newness” of the “New Aesthetic,” it is perhaps appropriate that so many of today’s Cloud navigators have turned to the old-school naturalist modes of classification and orientation. See David M. Berry, Michel van Dartel, Michael Dieter, Michelle Kasprzak, Nat Muller, Rachel O’Reilly, and José Luis de Vicente, New Aesthetic, New Anxieties (Rotterdam: V2, 2012) [PDF]; Tung-Hui Hu, A Prehistory of the Cloud (Cambridge: MIT Press, 2015); Julia Kaganskiy, “The New Aesthetic Revisited: The Debate Continues!,” The Creators Project, May 4, 2012; Antonio Regaldo, “Who Coined ‘Cloud Computing’?,” Technology Review, October 31, 2011. Thanks to Christoph Eggersglüß, who is writing about Nairn in his dissertation, for the “Outrage” reference. Lynch envisions “guidebooks to the sewer system, with instructions on how to read the season and the time of day by watching the flow. Signs, obscure marks, the traces of activity, listening devices, diagrams, remote sensors, magnifying glasses, slow-motion films, periscopes, peepholes — any of these may be used to make some process perceptible.” See Kevin Lynch, Good City Form(Cambridge: MIT Press, 1981), 312-13. Sara T. Scharf, “Identification Keys, the ‘Natural Method,’ and the Development of Plant Identification Manuals,” Journal of the History of Biology 42 (2009), 73-117. Lawrence R. Griffing, “Who Invented the Dichotomous Key? Richard Waller’s Watercolors of the Herbs of Britain,” American Journal of Botany 98:12 (December 2011), 1911-23. Lamarck stated that “clouds have certain general forms which are not at all dependent on chance but on a state of affairs which it would be useful to recognize and determine.” Rather than describing clouds as members of Linnaean species, however, he viewed them as “individual entities,” describable by appearance – particularly shape, color, and texture. Hazy clouds, massed clouds, dappled clouds, brooklike clouds, grouped clouds, flocked clouds, torn clouds, banded clouds, running clouds were among his ever-expanding list of descriptors. See Hamblyn. Paul J. Smith, “On Toucans and Hornbills: Readings in Early Modern Ornithology from Belon to Buffon,” in Karl A.E. Enenkel and Paul J. Smith, Eds., Early Modern Zoology: The Construction of Animals in Science, Literature and the Visual Arts (Boston: Brill, 2007): 81, 87. Thomas R. Dunlap, In the Field, Among the Feathered: A History of Birders and Their Guides (Oxford University Press, 2011), 48. Scott Weidensaul, Of a Feather: A Brief History of American Birding (Orlando: Houghton Mifflin Harcourt, 2007), 142. Florence A. Merriam, A-Birding on a Bronco (Boston: Houghton, Mifflin and Company, 1896), 140. Two decades later, the Federal Migratory Birds Act (1918) outlawed the killing and transport of migratory birds. Merriam’s Handbook of Birds of the Western United States, published in 1902, was a much more exhaustive, technical, and bulky ornithological text. For more on the women birders, see Dunlap, 4-5, 15, 31-34; Glenda Riley, Women and Nature: Saving the ‘Wild’ West (Lincoln: University of Nebraska Press, 1999); and Jaya Saxena, “How Early Feminists Helped Revolutionize Birding,” Atlas Obscura November 24, 2015. Dunlap explains that Ralph Hoffman’s Guide to the Birds of New England and Eastern New York, published the following year, further standardized the format in which information – on plumage patterns, range, habitat, song, and behavior – was presented. Reading each entry, “you can follow the mental sorting process birdwatchers used to go from a bird in the bush to a name in the book.” See Thomas R. Dunlap, “Inventing the Birdwatching Field Guide,” Forest History Today (Spring/Fall 2009), 54. Spencer Schaffner, Binocular Vision: The Politics of Representation in Birdwatching Field Guides (Amherst: University of Massachusetts Press, 2011), 9. Joeri Bruyninckx, “Sound Sterile: Making Scientific Field Recordings in Ornithology,” in Trevor Pinch and Karin Bijsterveld, Eds., The Oxford Handbook of Sound Studies (New York: Oxford University Press, 2012), 128-29. See also Greg Budney, “The History of Sound Technology at the Lab of Ornithology”; Tim Gallagher, “The Birth of Natural Sound Recording,” The Cornell Lab of Ornithology: All About Birds, January 15, 2015; and Jackson Rinn Pope III, Listening at the Lab: Bird Watchers and the Cornell Laboratory of Ornithology, Masters Thesis, History of Science, Technology and Medicine, University of Oklahoma, 2016. I am grateful to Carolyn Birdsall for directing me to Bruyninckx’s work. Joeri Bruyninckx,“Samples and Trophies: A Moral Economy of Ornithological Sound Recording,” 4S Annual Meeting, Cleveland, OH, November 02, 2011. Peterson’s system resembled (perhaps unknowingly) the image-based dichotomous keys used by some 17th-century botanists. See Griffing. Paul Prior and Spencer Schaffner, “Bird Identification as a Family of Activities: Motives, Mediating Artifacts, and Laminated Assemblage,s” ETHOS 39:1 (2011), 51-70. Virginia Marie Peterson, “Preface,” in Roger Tory Peterson, A Field Guide to the Birds: Eastern and Central North America (New York: Houghton Mifflin Harcourt, 1989), xi. 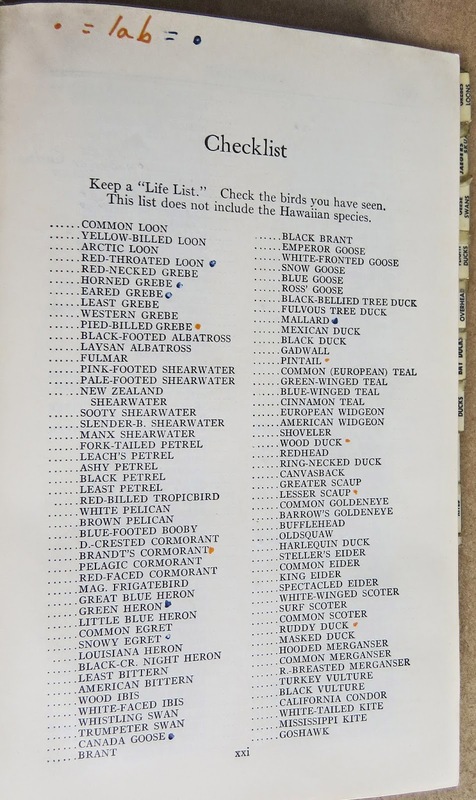 John Law and Michael Lynch, “Lists, Field Guides, and the Descriptive Organization of Seeing: Birdwatching as an Exemplary Observational Activity,” Human Studies 11:2-3 (1998), 284. As Michel Foucault argues, Linnaeus’s taxonomic system “is arbitrary in its basis, since it deliberately ignores all differences and all identities not related to the selected structure.” See Foucault, The Order of Things: An Archaeology of the Human Sciences (London: Routledge, 2005 , 153. Macdonald continues: “Out in the field, birds and insects are often seen briefly, at a distance, or in low light or half-obscured by foliage; they do not resemble the tabular arrangements of paintings in guides, where similar species are brought together on a plain background on the same page, all facing one way and bathed in bright, shadowless light so they may be easily compared. To use field guides successfully, you must learn to ask the right questions of the living organism in front of you.” See Helen MacDonald, “Identification, Please,” New York Times, June 19, 2015. See W. John Colette and Erik S. Munson, “Taxonomy, Ideology & the Structure of the Natural History Field Guide,” The American Biology Teacher 55:8 (November-December 1993), 456-62; Law and Lynch, 271-303; Schaffner. As a German reader pointed out to me, the German word for “guide” is führer: coincidence? Schaffner, 3. Anna-Sophie Springer and Etienne Turpin recount one historical tale of a notorious birder’s epiphanous recognition of his own impact on the landscape: “Between 1854 and 1862 the British naturalist, Alfred Russel Wallace, explored the Southeast Asian Malay Archipelago. … Throughout the first 300 pages of his book, the killing of creatures to produce a collection of more than 100,000 specimens generally caused Wallace hardly any pause for reflection or regret; however, his live encounter with the mythical birds of paradise provoked a decisive exception. It was these birds’ exquisite beauty, along with the rare observation of them in their remote environment, that poignantly revealed to Wallace the future tragedy of a colonial expansionism annihilating previously untouched nature.” Wallace writes: “It seems sad that on the one hand such exquisite creatures should live out their lives and exhibit their charms only in these wild, inhospitable regions, doomed for ages yet to come to hopeless barbarism; while on the other hand, should civilized man ever reach these distant lands, and bring moral, intellectual and physical light into the recesses of these virgin forests, we may be sure that he will so disturb the nicely-balanced relations of organic and inorganic nature as to cause the disappearance, and finally the extinction, of these very beings whose wonderful structure and beauty he alone is fitted to appreciate and enjoy. This consideration must surely tell us that all living things were not made for man.” See Anna-Sophie Springer and Etienne Turpin, “Some Notes for a Minor Ornithology,” Anexact Office (2013). Springer and Turpin, op. cit. Prior and Schaffner, 63. While Prior and Schaffner reject the notion that contemporary birding is simply neo-imperialist, they argue that birding descends from the collecting-and-cataloging activities that defined many global, colonialist projects: “Expensive birdwatching and birding as ecotourism in such countries as Belize and Indonesia enact key dimensions of these longstanding imperialist practices of natural history” (56). The poster is available in English/Pashto, English/Japanese, Spanish/English, Hebrew/Arabic, and German/Pashto, and the text is downloadable in a variety of other languages. I’m grateful to Vera Sacchetti for directing me to Pater’s work. Superflux, “Launching SUPERFLUX Magazine, Issue 1.” Drone models featured on the poster include the Night Watchman, the RouteHawk transit monitor, the “newsbreaker,” the Madison targeted-marketing monitor, etc. See also Greg J. Smith, “Drone Aviaries & Field Guides – A Conversation with Superflux,” Creative Applications Network, May 20, 2015, and Anab Jain and Jon Ardern, “Owning the Sky,” ARPA Journal 4 (2016). Emily Horne and Tim Maly, The Inspection House: An Impertinent Field Guide to Modern Surveillance (Toronto: Coach House Books, 2014), 8. Geoff Manaugh, A Burglar’s Guide to the City (New York: Farrar, Strauss & Giroux, 2016), 9. We can contrast these homegrown, self-published, and small-press projects with the World Bank’s “Field Guide to Infrastructure Resources,” a resource for the Cloud’s (and other infrastructural systems’) powerful builders — not its tourists or hackers. It’s not really a field guide at all, though; it’s an online database of existing infrastructure and finance organizations, data sets, reports, toolkits, templates and case studies focusing on the policy, planning, financing, and operations of infrastructure. See Chris Heathcote, “A Field Guide to Infrastructure” The World Bank Public-Private Partnership Blog, April 26, 2016; and World Bank, Global Infrastructure Hub. Louise Amoore, “Cloud Geographies,” Streams of Consciousness: Data, Cognition, and Intelligence Devices Conference, University of Warwick, UK, April 21, 2016. Brian Davis, Rob Holmes, and Brett Milligan propose that field guides and manuals might equip urban residents to transform their cities. Their Urban Field Manuals “show how to change or maintain your city just as automotive maintenance manuals teach you how to repair or maintain your car.” See Davis, Holmes, and Milligan, “Urban Field Manuals,” MONU 14 (2011); Davis, “Surveying the Field: Guides and Manuals,” faslanyc, June 17, 2011; and Holmes, “Urban Field Manuals,” mammoth, May 22, 2011. Susan Leigh Star talks about infrastructure as relational and situational, something that flips between figure and ground depending upon one’s subjectivity, position, cultural context, and so forth. See Star, “The Ethnography of Infrastructure,” American Behavioral Scientist 43 (1999), 377-91. Maria Kaika and Erik Swyngedouw, “Fetishizing the Modern City: The Phantasmagoria of Urban Technological Networks,” International Journal of Urban and Regional Research 24:1 (March 2000), 121, 124, 132, 134. See also David Nye, American Technological Sublime (Cambridge: MIT Press, 1996). Thanks to Jamie Allen for this reference. See also Adam Fish, Christopher Kelty, Luis F.R. Murillo, Lilly Nguyen, and Aaron Panofsky, “Birds of the Internet: Towards a Field Guide to the Organization and Governance of Participation,” Journal of Cultural Economy 4:2 (2011), 157-87. Sara M. Watson, “Introducing the Living with Data Series: A Field Guide to the Algorithms That Shape Our World,” Al Jazeera America, September 15, 2014. Orit Halpern, “Introduction,” Reading Algorithms: Queer and Transgressive Encounters workshop. The workshop was led by Martina Leeker, Orit Halpern, Irina Kaldrack, and Lisa Conrad, at the Museum Lüneburg, Lüneburg, Germany, June 8-9, 2016. A visual study of the relation between residential density and voting behavior in the 2016 U.S. presidential election.